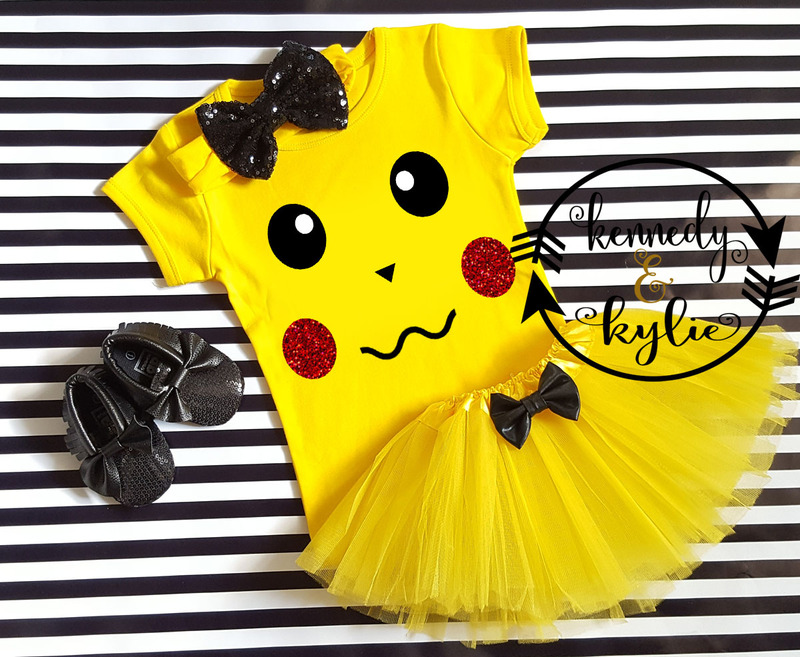 Let us add a little or a lot of shine to your little superhero's birthday or Halloween party with our trendy glitter Pikachu inspired birthday tutu costume designed by Kennedy and Kylie. 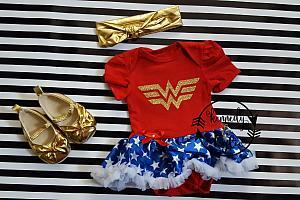 This tutu outfit is absolutely adorable that we had to add it to our collection of items we offer to our customers. 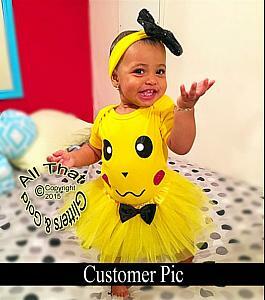 Its designed with a very soft yellow cotton shirt and an elastic tulle tutu skirt. The face is designed with red glitter cheeks that make the shirt really pop! 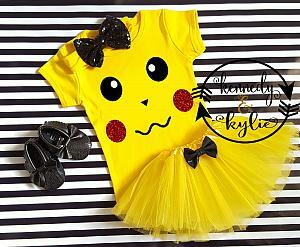 It also comes with a cute yellow and black big bow sequin headband to complete the pikachu look. Iron inside out. Do not iron over the glitter letters. This item takes 2 to 3.5 weeks to process plus shipping time. We ship via USPS to Domestic and International Addresses. If you are an international buyer, shipping will take a little longer. Processing time takes 2 to 3 weeks and delivery time takes between 14 to 21 days. Rush shipping is available for US residents only. Rush fees do apply. We loved our pikachu set. It was soooo cute. Our pictures turned out perfect. Our family did a photo shoot and each one was a different pokemon character. Eva was the star of the show. The glitter was the perfect touch.